Gary has acted since 1991 as a specialist advocate and adviser appearing regularly in the Court of Appeal, High Court, County Courts and in specialist property tribunals. In 2009, he was appointed a Deputy Adjudicator to HM Land Registry and in 2013 became a Judge of the First Tier Tribunal in the Property Chamber. Gary was called to the Bar in 1990. He has been a member of the Bar Council Professional Conduct Committee and the Inner Temple Estates Committee. Gary became a Deputy Adjudicator to HM Land Registry in 2009 and was made a Judge of the First Tier Tribunal (Property Chamber) in 2013. 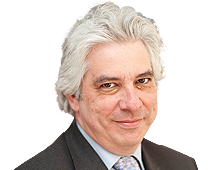 Gary is the author of Commonhold (Law Society, 2005) and has contributed to Bullen & Leake and Jacob’s Precedents of Pleadings and the electronic version of Woodfall on Landlord and Tenant.